Do you ever stop getting bruises as a martial artist? The simple answer to this is no. 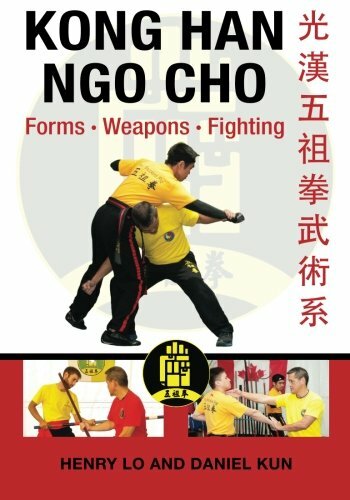 Most forms of martial arts are designed for close-range combat where you will be fighting with opponents using fists, kicks, and other close-combat fighting techniques. An average day of kung fu training for me will always include some sort of one-on-one combat where I will either be throwing a punch, blocking or doing some move with my body that may leave a bruise. I often get home to find that I have marks all up and down my arms and legs from my training. I’m not bothered by this because I understand that there is no blocking technique that will guarantee you will not get bruised. However, over time, your body can be conditioned to withstand a greater amount of trauma before injury. I’ve been in kung fu for several months now and I still find that I bruise easily. I’m not concerned by this because I don’t bruise nearly as easily as I did when I first started. The important thing to understand that everything takes time. If you want to lose weight, that will take time; if you want to lift gain muscle, that will take time. Anything to do with the body will take time. Part of my kung fu style is related to the Iron Body style of kung fu. This involves a slow development of conditioning your body to withstand blunt trauma from a hard force. It also conditions your body to be able to attack a foe with more force and without causing damage or pain to yourself. While martial artists are prone to bruises, there are some steps that you can take to reduce and relieve bruising. Chinese medicine used today for martial artists has evolved over thousands of years and began in ancient China. The treatment methods used for sports injuries were originally used for the injured on the battlefield. Monks and warriors would notice how the body reacted to different herbs or with pressure to certain areas. They studied how an arrow could affect and transmit pain to other parts of the body or how pain can be relieved by applying heat or certain herbs. The prevention of injury plays a large role in many martial arts style. Some kung fu forms have deliberate movements that stretch the muscles and tendons, increase blood flow, and soothe internal organs. These forms were designed in order to reduce the risk of injury. It’s crucial that you apply ice on a bruise within the first 48 hours. During this time, your body will swell around the bruise in order to create its own splint as a way of healing. Applying ice on the injury will reduce both swelling and pain which will allow your body to heal faster. Do not apply ice directly on your skin. Wrap the ice in a cloth and then apply the ice intermittently for 10 minutes and not for a prolonged period. Herbal medicine is very popular in China. There are herbs specifically dedicated for bruise treatment, trauma, fractures and other related injuries. Many people will use herbs instead of applying ice to reduce swelling and inflammation. The herbs are applied on and around the bruised area and will normalise circulation in the injured area to encourage healing. When you are training, particularly for conditioning workouts, you should apply herbal medicine intermittently before every set. Chinese ointment is used to heal bruises and soothe damaged muscles. Herbal ointments are preferred by many martial artists to stimulate circulation, reduce pain and swelling, and encourage healing. A herbal ointment will help to relax the muscles, tissues and nerves and will enhance circulation for faster healing. Yes, that’s right. Rub where it already hurts. But trust me, it works. I won’t lie, massaging the bruise out is a little painful and it might redden the area a little, but trust me, it will improve the healing time. To do this properly, you apply pressure to the centre of the bruise where you may feel a bump beneath the skin (this is just swelling), then you massage outwards. This will encourage the stagnant blood to move away from the injury and increase circulation. Applying herbal medicine while massaging the bruise can help the bruise heal faster. Do not press hard when massaging. Using ice when you first acquire the injury will help prevent the bruise from spreading around the injured area and will keep the area from swelling. After cooling the bruise for a day or two, start applying heat to increase circulation. The increased blood flow will help the bruise heal faster. It is important to make sure you are eating well to improve the overall health of your body. A balanced diet will also give strength to your body. Being more aware of the food you eat can help increase your body’s strength and fitness. Adding more Vitamins to your diet will increase the strength of your muscles, tendons and ligaments and will help them heal faster. Consult your doctor if a bruise is particularly painful or looks unusual. Remember first aid 101 RICE = Rest, Ice or Herbal treatment in our case, Compression light to reduce swelling not heavy, Elevation to enhance circulation. Hi, I read in another article where it says NOT to touch, massage the bruise or bruised area. Why the difference in opinion?